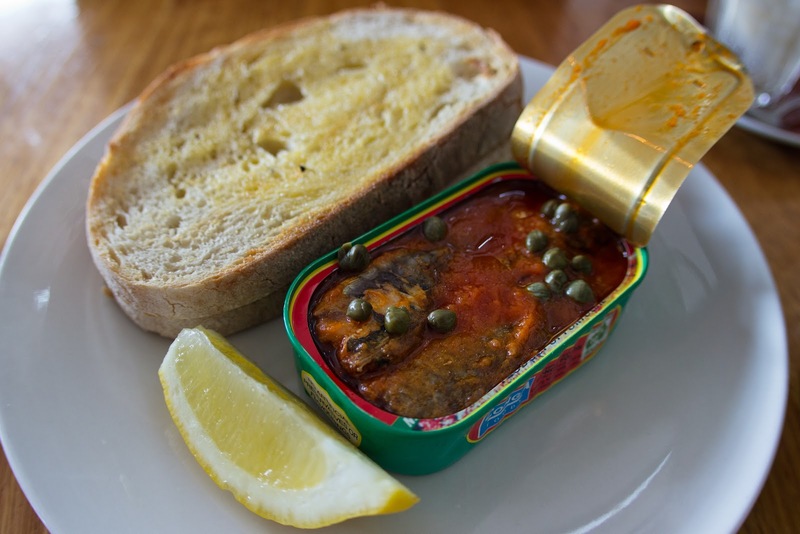 Portuguese sardines with tomato served in the tin with Zeally Bay sourdough, lilliputian capers and lemon. 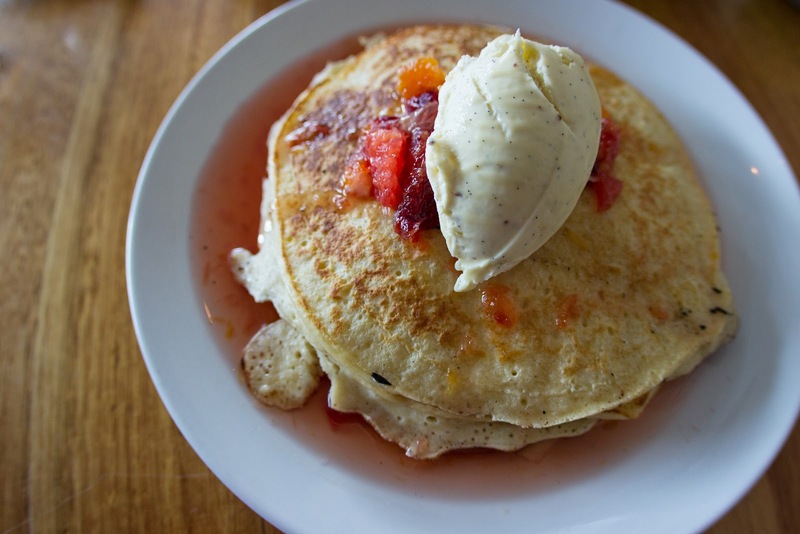 Ricotta Pancakes w spiced citrus compote & vanilla mascarpone. Verdict: The sardines dish was simple but tasty and the follow up ricotta pancakes exceeded all expectations - who says you can't have dessert for breakfast?